Ben Hueso was elected as California State Senator for the 40th District in March of 2013. He represents the cities of Imperial Beach, Chula Vista, National City, portions of the City of San Diego and the Imperial County. 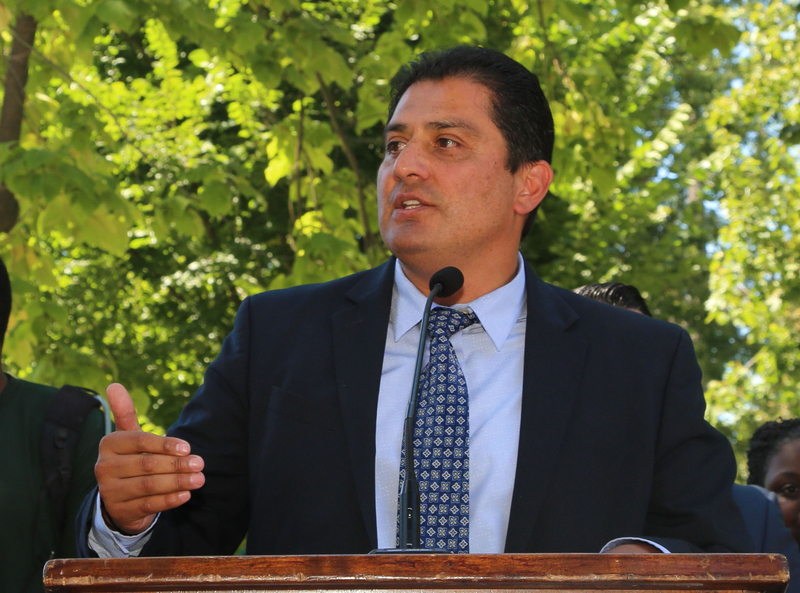 In January 2019, Senator Hueso was reappointed by the Senate Pro Tempore to serve as Chair of the Senate Committee on Energy, Utilities and Communications. He was also reappointed to the Senate Banking and Financial Institutions, Insurance, Natural Resources and Water, and Governmental Organization Committees. Since assuming office, Senator Hueso has worked extensively on initiatives regarding water quality, consumer protection, public safety and job creation. He is also a strong advocate for education, environmental issues and binational affairs, and chairs the Select Committee on California-Mexico Cooperation. He is a member of the California Latino Legislative Caucus and served as Chair from 2017-2018. Prior to being elected as Senator, Hueso served in the California State Assembly from 2010-2013, where he championed legislation helping small businesses, protecting victims of domestic violence, prohibiting the sale of synthetic drugs, securing clean and reliable water resources, and stimulating the economy. Senator Hueso held his first elected position as San Diego City Councilmember for the 8th District from 2006-2010. During his tenure, he was elected Council President from 2008-2010 due to his strong leadership and consensus-building skills. He served as Commissioner for the California Coastal Commission, where he worked to protect California’s beautiful coastlines. In addition, he served as a board member for San Diego’s Association of Governments and the California League of Cities. Senator Hueso holds a Bachelor of Arts degree from UCLA and lives in Logan Heights with his four sons.